Felt covering to protect transported goods. Especially suitable for evenly distributed loads. Extruded aluminum frame construction without welded seams. The controls are located on top of the machine between the handles. The average battery life is 4-7 years, depending on usage of the operator. Wheels: 20,3 cm Ø wheels with puncture proof, non-marking tires. 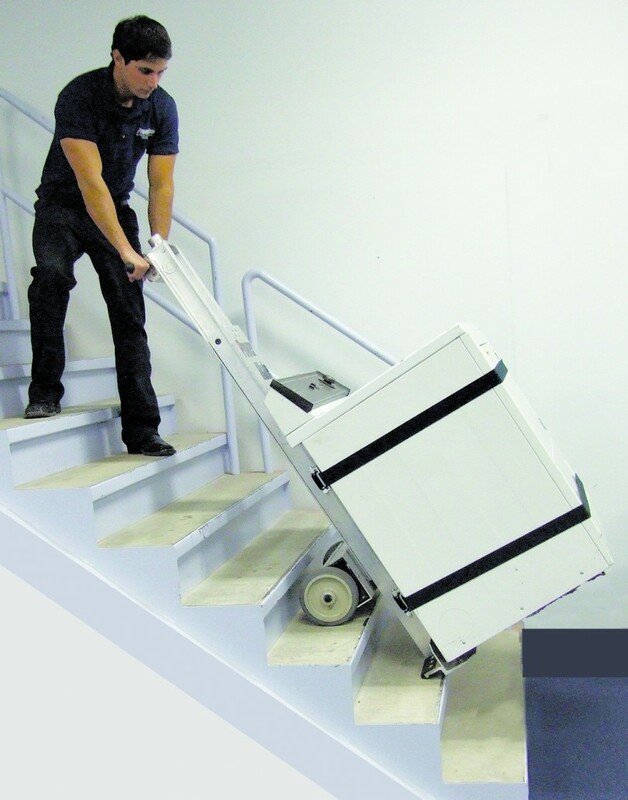 The PowerMate L-1B is the ideal stair climber for the safe transport of heavy loads up to 295 kg. 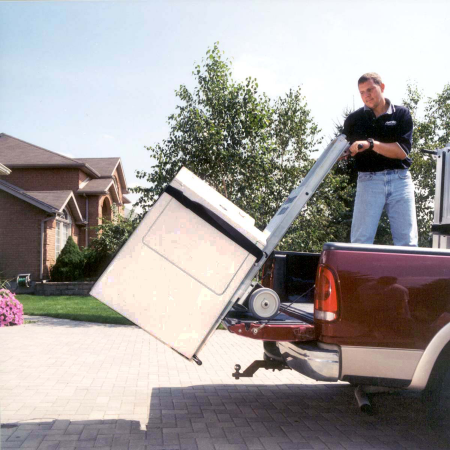 Heavy objects that would otherwise require at least two persons to transport can be moved easily with the L-1B. The PowerMate L-1B is made from an extruded aluminum frame construction without potentially weakening welded seams. 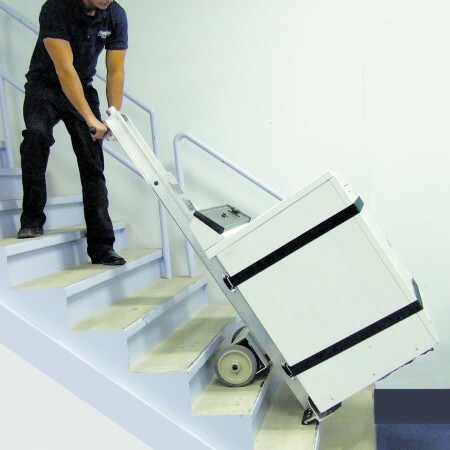 In places where track driven equipment would require too much space to maneuver, this handy, lightweight stair climber can be used as electrically driven hand truck and be of great assistance. 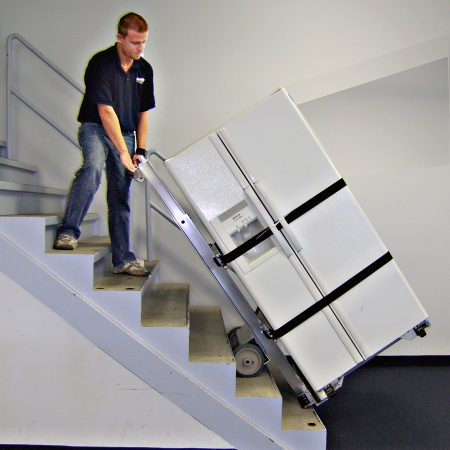 The L-1B is used as a hand truck on level surfaces and is agile and flexible on stairs. The devices of the L-line are equipped with electronically monitored overload protection. Furthermore, they have felt pads to protect the load from damage and scratches. 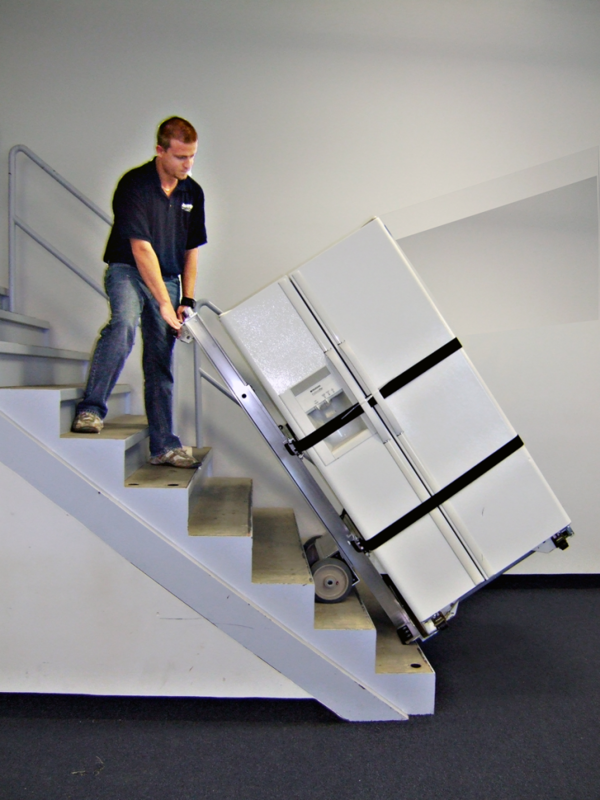 Many considerations have gone into the development to make the PowerMate L-1B one of the most ergonomic stair climbers on the market. For example, the controls are strategically positioned on top of the machine directly between the handles. 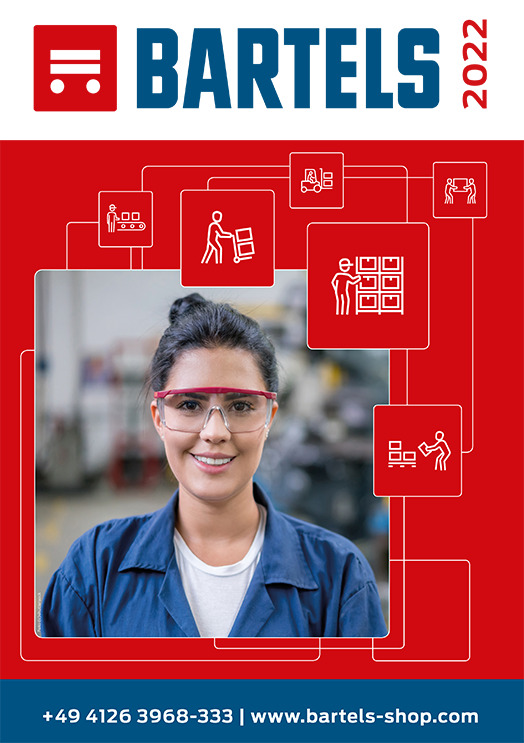 This guarantees permanent control over operation of the machine while working. The PowerMate L-1B features long lasting batteries and puncture-proof, non-marking wheels. 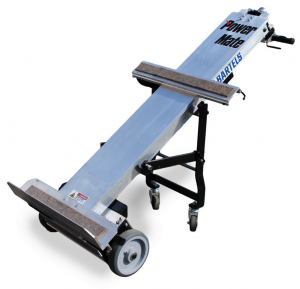 There are a variety of accessories available for all PowerMate stair climbers. Our consultants will gladly assist you.